On3 are the authorised distributor for the Nissan range of counterbalance and warehouse equipment in Gloucester and Worcester. 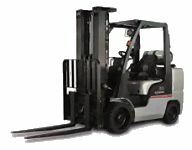 Our collaboration with Nissan Forklifts enables us to bring a wide range of products to market. On3 are unique in combining a local, flexible company with the support of a major global brand. On3 Limited, 3A Quedgeley East Business Park, Haresfield, Gloucester, GL10 3EX.